We have Canoes, Paddle Boards and Boats and Motors for rent, as well as a boat launch and docking facities for our guests. Boats are 16' aluminum with 9.9 h.p. motors and 16’ aluminum with 15 h.p. motors. Rental equipment is up to date and replaced on a regular basis. Each boat has required operating and safety equipment. Our launch ramp is capable of launching most boats that can be transported on a trailer. Bark Lake is famous for its lake trout. They are most plentiful in the Spring, May and June, when they are on top of the water and can be caught with a light line. 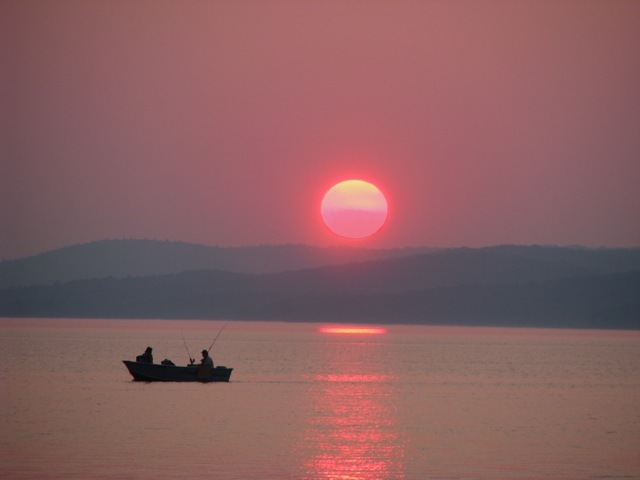 During summer, July and August, the Lake Trout are found in 60 feet of water and a steel line is advised. In the Fall, the Lake Trout return to the surface. Pickerel/Walleye were introduced into Bark Lake some years ago. They are doing well and have become very popular. 1999 produced record pickerel catches up to 14 lbs. Smallmouth Bass is one of the most exciting fish to catch. Bark Lake catches are up to 5 lbs. This fish is fun for all ages. Largemouth Bass and Pike are both found in Cub Lake and are plentiful and exciting to catch. Cub Lake is a small lake which can only be reached by boat from Bark Lake. We provide a clean, screened-in Fish Cleaning Station at the docks, with running water and lights for your convenience.